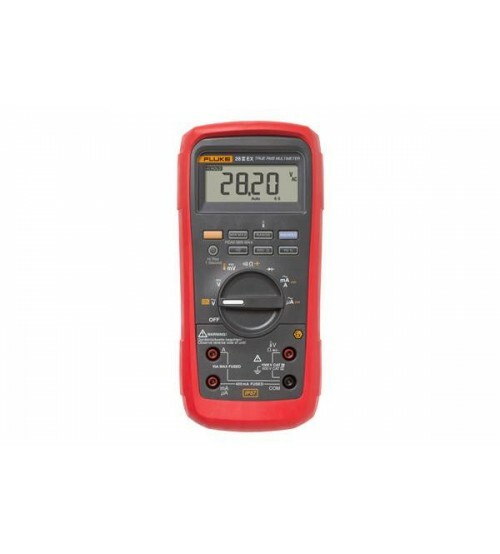 Now there’s one intrinsically safe digital multimeter (DMM) you can use in IIC (gas), in Zone 1 and 2 and IIIC (dust), Zone 21 and 22. Whether you work in petroleum, chemical, or pharmaceutical environments, all the test and troubleshooting power you need is packed into the most rugged intrinsically safe (IS) DMM Fluke has ever built. The Fluke 28 II Ex is also waterproof, dust-proof and drop-proof. You’ll be equipped to handle any situation, inside and outside of hazardous zones, without compromising compliance or measurement performance. Important extras keep you productive all day long in less than optimal conditions. Access to the separate battery compartment makes it easy to change batteries or fuses without jeopardizing instrument calibration.